Atlantic halibut is a popular and valuable seafood item, worth almost $22 million in Canada alone in 2010. Landings peaked in the 1950’s and 60’s, but have since been declining, and in 1996, the Atlantic halibut was placed on the IUCN Red list. Aquaculture started in the 1980’s in Norway, but it was not until 2005 that a viable producer of farmed Atlantic halibut emerged in Canada. Atlantic halibut are grown at a net protein loss, as more protein in the form of fishmeal or fish oil must be fed in order to obtain a comparatively smaller amount of edible halibut. However, since the wild Atlantic halibut populations are depleted, aquaculture of the species alleviates pressure on wild stocks to supply consumer demand, and gives them more time to recover. Since the Atlantic halibut are reared indoors, there is little risk of predator mortality. The source of fishmeal and fish oil that is fed to the Atlantic halibut is unknown. There is some concern that the source is from an unsustainable fishery, which would negatively impact other species. Risk of escape and spread of disease is extremely low, since the fish are farmed on land, and are not connected to other water bodies. 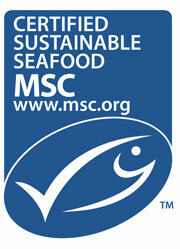 There is also no stress imposed on wild stocks, as fish are sourced from domesticated and farmed broodstock. There is minimal habitat and ecosystem impacts since the farms are not located on particularly sensitive habitat, chemicals are rarely used, and waste water is appropriately treated and disposed of. In Mexico, flatfish landings are combined and information on specific landings of Cortez halibut are not available, nor which fishery they are from. A total of 5,500 t were caught in 2016 and evidence suggests the majority is caught by the industrial fleet. Most production is sold domestically, and it is unclear how much Cortez halibut is exported, though the US imported 15 t of ‘unspecified halibut’ from Mexico in 2015, which may include it. Cortez halibut in Mexico’s Gulf of California is caught by both an industrial bottom trawl fishery and an artisanal gillnet fishery; both are Not Recommended, due to impacts on other species and poor management score. Stock status and mortality are unknown, and there is also no bycatch information; however, based on similar fisheries around the world they are likely to include catches of at-risk turtles, marine mammals, seabirds, rays and finfish. The poor management score is due to a lack of stock assessments conducted, and a lack of input from stakeholders and scientific advice into the management process. Some measures to protect the ecosystem are in place, and seafloor impacts are a moderate concern. 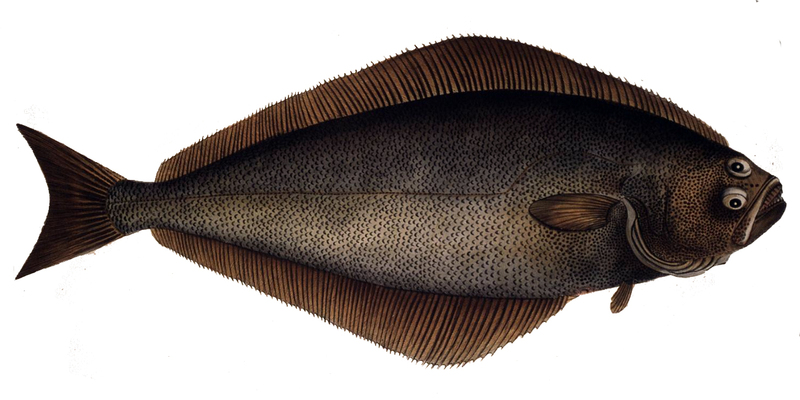 The commercial fishery for the Atlantic halibut has existed since colonial times, and by the 1850’s, consumer demand had fueled the exploitation of the population. By the late 1800’s, the population had been decimated, and has still not recovered. Currently, there is no directed fishery for Atlantic halibut, but it is still caught as bycatch. Although management has at times been poor in the past, recent modifications to regulations have established stricter limits on catches. This new management regime is considered to be moderately effective. Management plans to minimize bycatch exist, although these could be improved upon for greater effectiveness. The Atlantic halibut has been severely overfished and population abundances are still at critically low levels. The use of otter trawls has a significant impact on the bycatch of Atlantic white-sided dolphins; a species which is already overfished and whose low population numbers are of concern. Otter trawls have the potential to severely damage the habitat by increasing the turbidity in the water, smoothing the substrate, causing mortality or injuries to species, and by destroying the habitat. The effects of removing Atlantic halibut from the ecosystem are not well understood.